Willowbrooke Farm was founded by Jennifer Blades in 1990 as a small business with just a few lessons given each week. Over the years, we have grown into a full service business which includes boarding, lessons, training, shipping, sales, camps, and horse shows. Jennifer has been involved with horses her entire life. 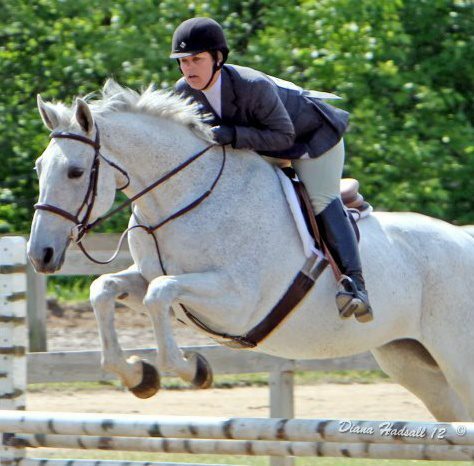 As a junior rider, she was actively involved in local 4-H and Pony Clubs. She learned Dressage at a Trakehner breeding farm, and she has shown in Dressage and Jumping. Growing up, she began to focus more on training young horses for the hunter ring, which brought her to a large sales and lesson barn where she worked for 6 years. She has competed both locally and nationally on her own horses and with her students, including yearly at the Winter Equestrian Festival in Palm Beach, Florida. Currently, Jennifer is head trainer of Willowbrooke Farm, and the coach of the University of Michigan Intercollegiate Equestrian Team (where she has had a student win the 2001 National Championship in Open Equitation Over Fences). She is currently on the Michigan Hunter Jumper Association (MHJA) Board of Directors, and also the Board of Directors for the Hunter Jumper Association of Michigan (HJAM).